Reigning champion Olympiacos Piraeus was given all it could handle and survived a battle at home against Bayern Munich, winning 88-83 at Peace and Friendship Stadium to remain undefeated in Group C. Olympiacos wasted a 15-point third quarter deficit and needed a 12-0 fourth quarter run to improve to 3-0. 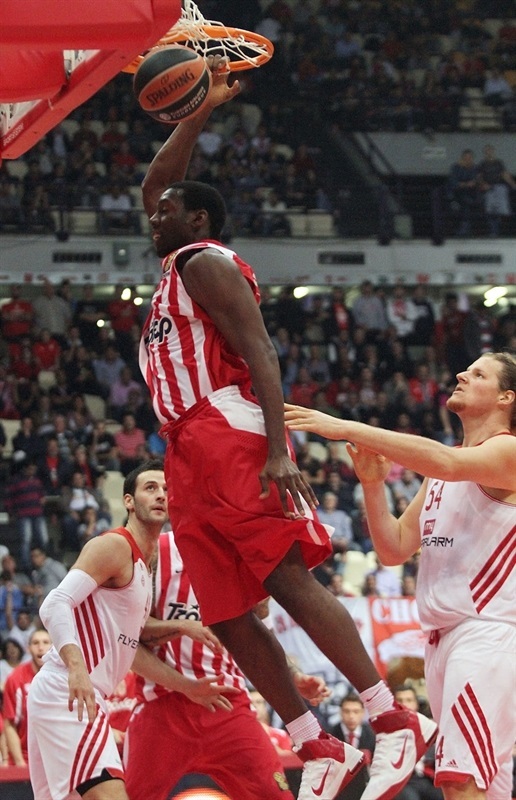 Bryant Dunston led the charge for Olympiacos with 19 points, 8 rebounds, 3 blocks and 2 steals. Matt Lojeski added 17 points while Georgios Printezis scored 13 points with 12 rebounds, Kostas Sloukas and Evangelos Mantzaris each scored 12 points and Vassilis Spanoulis struggled with just 10 points. 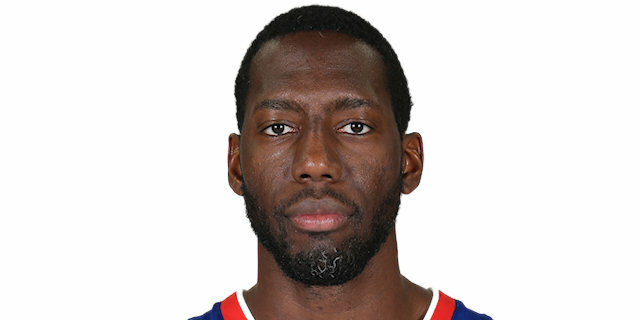 Bayern, which dropped to 2-1, was paced by 20 points from Malcolm Delaney while Nihad Djedovic added 13 points, Bryce Taylor had 11 and Yassin Idbihi added 10 points and 9 rebounds. 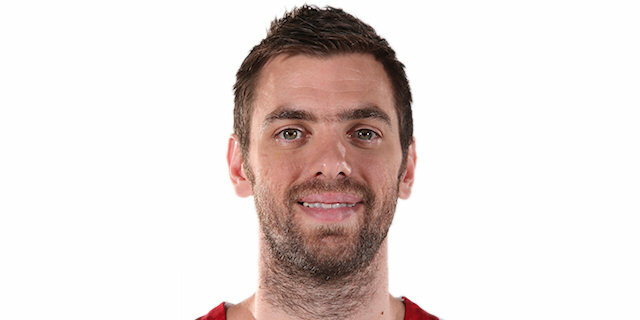 Olympiacos coach Georgios Bartzokas made two changes to his lineup with Stratos Perperoglou and Printezis starting instead of Lojeski and Dimitrios Agravanis alongside the trio of Spanoulis, Acie Law and Dunston. 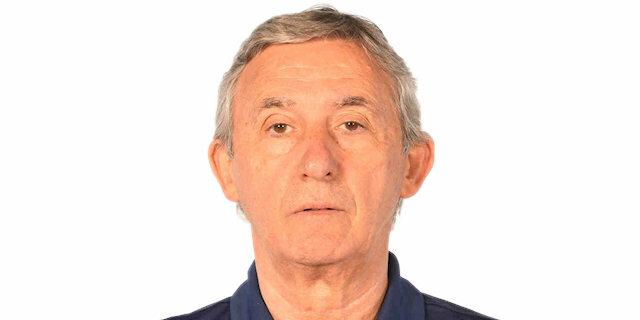 Bayern coach Svetislav Pesic had the same first five with Delaney, Djedovic, Robin Benzing, Boris Savovic and John Bryant. Spanoulis started the game with a three-pointer and an assist for a Dunston dunk and a 5-0 Olympiacos lead. Bryant got the guests on the board with an inside layup. Dunston came up with another dunk, following up on a Spanoulis miss to make it 7-2. 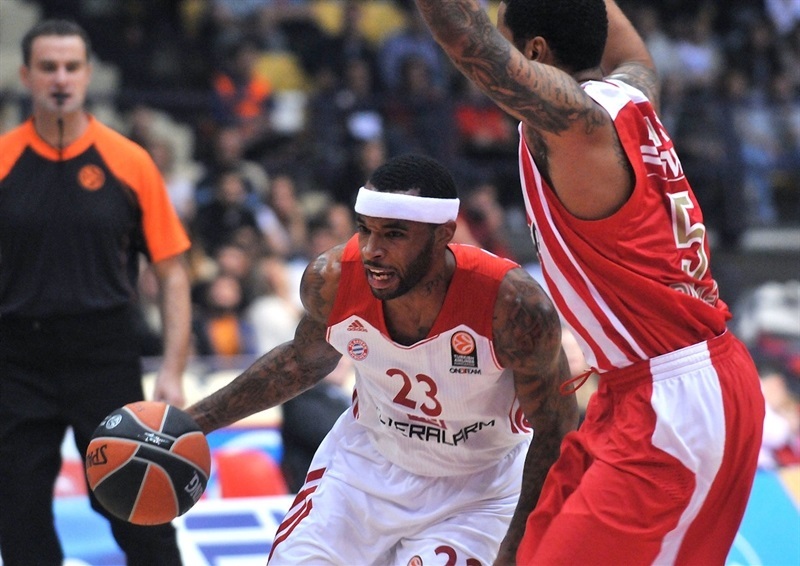 After Savovic and Perperoglou swapped threes, Dunston increased the Olympiacos advantage to 13-7 with a three-point play. Djedovic scored twice and jumpers by Benzing and Savovic got Bayern to within 16-15. Spanoulis showed the debutants his drive to the lane and then Mantzaris drained a triple just seconds after entering the game for a 21-17 Olympiacos lead. Spanoulis added a jumper in the lane before the champs swiped a pass and hit Lojeski for an easy layup and a 25-19 lead. A free throw by Idbihi trimmed the deficit to 25-20 after one quarter. Lojeski opened the second quarter with another layup on the break, which Taylor answered at the other end. Olympiacos turned up its defense and Lojeski got out the break yet again and Mantzaris drained a triple from the right wing for the first double-digit lead 32-22. Taylor knocked down a jumper to snap a 2:34 minute scoreless stretch for the guests. Sloukas re-established the 10-point lead before tip-ins by both Idbihi and Delaney to make it 35-28. Olympiacos however continued to punish Bayern for its mistakes as Printezis got out on the break for a layup before a Sloukas foul shot for a 38-28 Olympiacos cushion. Munich did not shy away with Taylor driving down the left lane for a dunk and two foul shots before Bryant was able to use his size advantage inside to get Munich as close as 38-34. 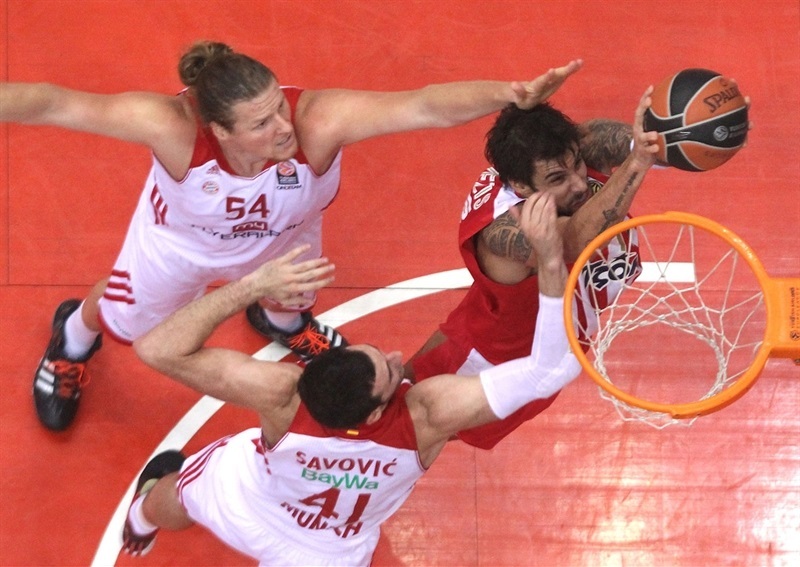 Spanoulis took back the reins with two foul shots and an assist on Printezis’ layin. After two Delaney free throws kept Bayern within 42-38, Lojeski continued his strong game with a jumper and then Mantzaris knocked down his third triple of the game shortly before the halftime buzzer to send the champs to the locker room ahead 47-39. Bayern had the better start to the second half with a Benzing score and a Delaney three to cut the deficit to 47-44. After two straight Olympiacos turnovers, Dunston woke up his team by racing back for a big block on a Savovic layup attempt. Lojeski finally scored for the champs with a three-point play and Olympiacos found itself in the bonus not even three minutes into the quarter. Printezis and Sloukas sandwiched free throws around a Dunston steal and layup as the Olympiacos lead hit double digits again, 56-46. Piraeus took advantage of the foul situation to get extra points and Dunston made 2 free throws and an easy layin after some fine passing for a 64-49 lead and a Munich timeout. It was still 66-51 with 3:11 minutes to go in the quarter when Delaney and Heiko Schaffartzik knocked down back-to-back triples. Benzing added 3 free throws and Idbihi completed Munich’s 0-15 run to close the quarter deadlocked 66-66. Chevon Troutman opened the fourth quarter with an inside basket to complete the 0-17 surge for a 66-68 lead. 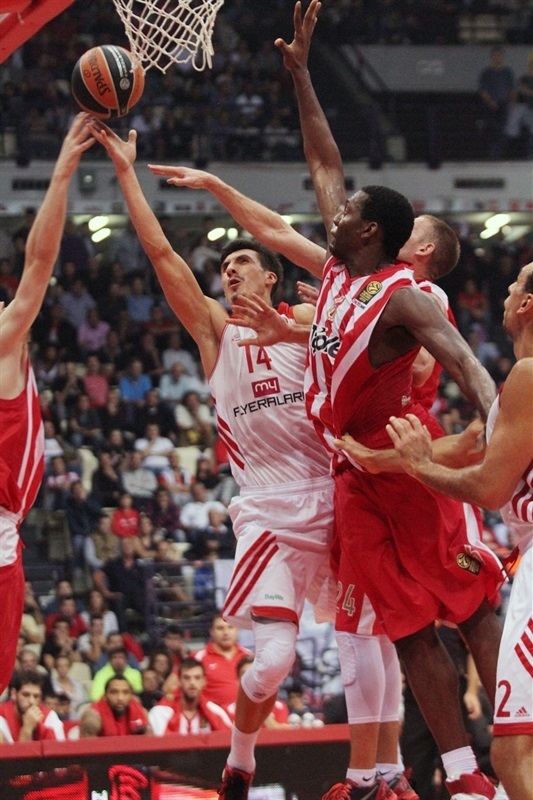 Dunston finally scored for Olympiacos, but Djedovic answered and Delaney’s free throw made it 68-71. Sloukas knotted the game at 71-71 only to see Spanoulis miss 2 free throws. Djedovic came down at the other end with a three-point play and then a layup off a nice pass from Bryant as Munich opened a 71-76 advantage with five minutes remaining. Dunston came up big for the champs with 2 foul shots and then a block that led to a Printezis layin as Olympiacos answered with 6 straight points, 77-76. Bayern failed to convert on three straight possessions and Lojeski got out on the break for a layup after which Delaney was whistled for a technical foul. Lojeski split the free throws, but Mantzaris nailed a three on the resulting possession for an 83-76 lead with 54 seconds left. 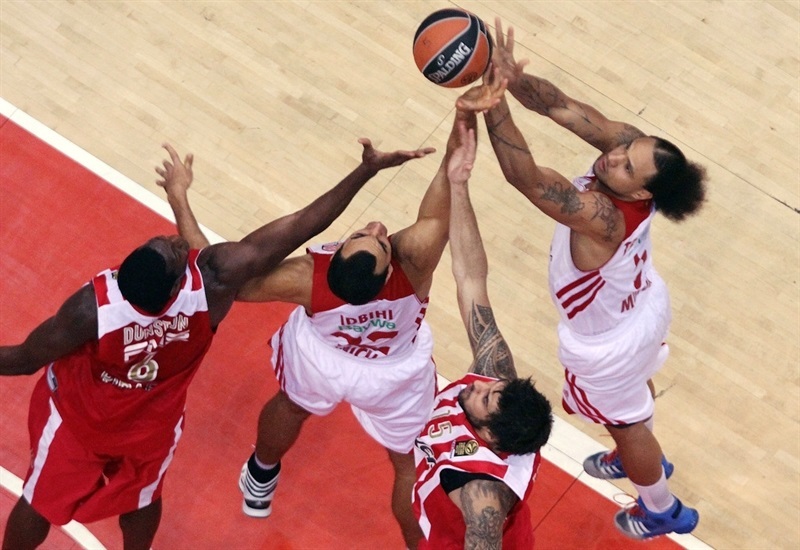 Schaffartzik raced down for a three before Bayern sent Piraeus to the line. Mantzaris missed 2 and then after grabbing the offensive rebound Printezis missed 2 more foul shots. Delaney trimmed the game to 83-82 with a three-point play and after Lojeski and Schaffartzik both split free throws, Sloukas knocked down his 2 free throws with 9.8 seconds left for an 86-83 Olympiacos advantage. Munich worked a very good look to Delaney who missed his three before Printezis’s 2 foul shots with 3.3 seconds to play finished the game. "We are happy for our third straight win and the fact that we are the only unbeaten team in Group C. Some of our players weren’t in good shape, but we reacted and managed to win a very difficult game against a team that will get great victories and I have no doubt that they will reach the Top 16. FC Bayern Munich is a team with depth both in the perimeter and the frontline and they caused us many problems because they grabbed 15 offensive boards and they played the deny system in defense. We love every victory we have and we don’t underestimate them, regardless of the way we get them or the margin. We want to have faster motion in offense and to not allow our opponents to have easy points. I am satisfied because we had 10 assists more than Bayern Munich, but on the opposite side we missed crucial free throws and we have to deal with the pressure. Vassilis Spanoulis has a great impact on our team, but when he is not at his best we have to protect and support him." "Coming here nobody believed that we could win this game and they were right. But nobody can forbid us from hoping to get it. We had our chances and every coach trusts his players, but the game finishes after 40 minutes. We have to work hard for seven days a week in order to improve our game and remain competitive in such a high-level competition. We showed our character and we proved that basketball exists in Munich. I like the fact that we believe in ourselves and have confidence, but the next time we have to pay attention and not commit 32 personal fouls and give our opponents 36 free throws. 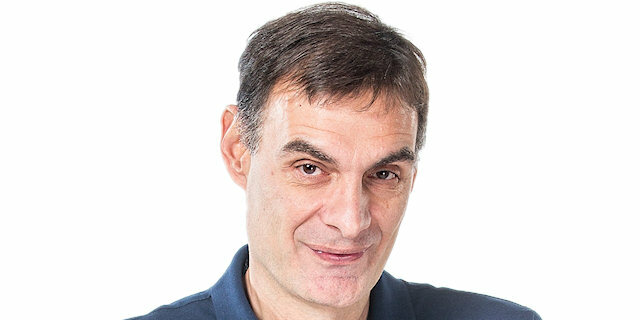 Olympiacos has a consistency and duration in its game and this is normal because they are the reigning Euroleague champions." "We had a good start in the game, but they reacted and had a big run. We have to keep our concentration and not allow any team to grab so many offensive boards. But at the end of the day, victory is what counts most and, don’t forget, we are 3-0 and looking forward." "We had a very good game in offense and this is normal because Olympiacos has a lot of options and can find the solution to score. On the contrary, our defense didn’t work, as we allowed them to score 83 points, which are too much. They grabbed 15 offensive boards and they didn’t surrender being 15 points behind. However we are 3-0 and this is a credit to our team. " "We fought back against the two-time Euroleague League champion, but then again made careless errors. They punished us as a team immediately. We are proud of our performance, but we want to win every game. "